Groups will find heaping helpings of Southern hospitality in Alabama’s largest city and a vast array of cultural offerings for irresistible itineraries. Many groups make a beeline for the Birmingham Civil Rights District, recently declared a national monument. 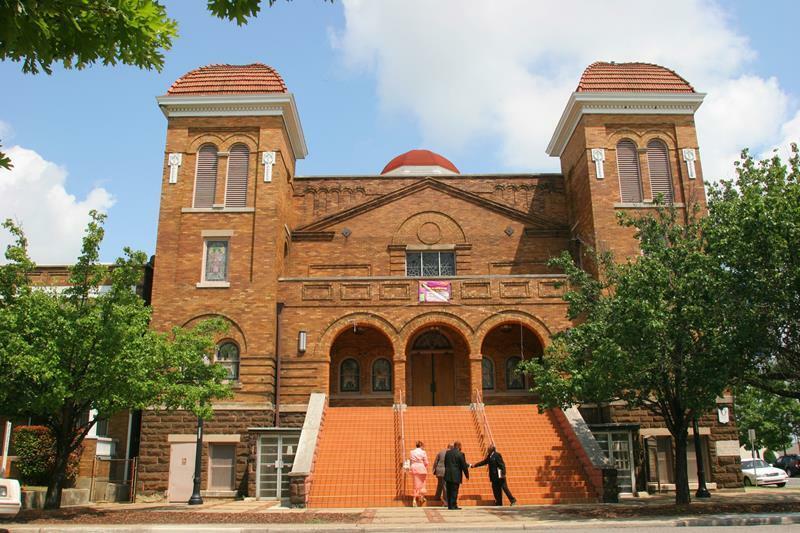 This downtown district includes the 16th Street Baptist Church, where a racially motivated bombing in 1963 killed four African-American girls and became a pivotal point in the nation’s civil rights movement. For a glimpse into the drama of that era, visitors to the Birmingham Civil Rights Institute will see black-and-white footage of news events featuring leaders such as Dr. Martin Luther King and Birmingham demonstrators being doused by powerful hoses and held at bay by dogs. Museum goers also witness the realities of segregated lunch counters, restrooms, drinking fountains, theaters and bus station waiting rooms. Across the street in Kelly Ingram Park, a staging ground for 1960s demonstra-tions, sculptures depict civil rights-related events. 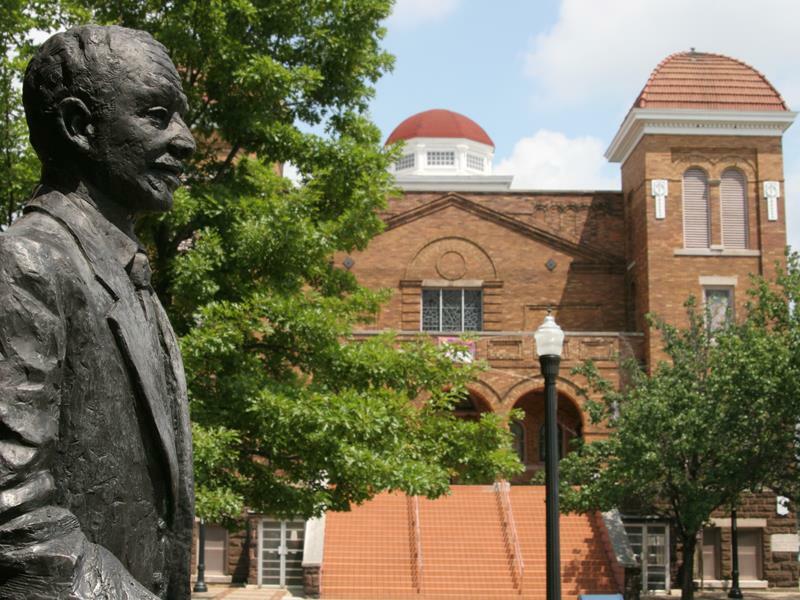 The Greater Birmingham Convention & Visitors Bureau can arrange step-on guide services for groups who wish to tour the Civil Rights District. Birmingham is a city of museums, and many are located downtown. The free-admission Birmingham Museum of Art is one of the finest regional art museums in the country. The Alabama Jazz Hall of Fame is housed in the Carver Theatre, which opened in 1935 as a segregated movie house for African-Americans; it honors jazz greats with links to the state. Nearby, guests can enjoy hands-on exhibits at McWane Science Center and giant-screen films at its John W. Woods IMAX Dome Theater. Barber Vintage Motorsports Museum boasts the world’s largest collection of motorcycles. Aviation buffs will like the Southern Museum of Flight/Alabama Aviation Hall of Fame, while sports fans gravitate to the Alabama Sports Hall of Fame Museum. In Vulcan Park, high atop Red Mountain, groups can marvel at the 56-foot-high statue of Vulcan, the mythological Roman god of fire; one of the largest cast-iron statues in the world, it pays tribute to the city’s iron industry. Vulcan Park’s museum has exhibits on the region’s geology, history and industrial growth. The grounds and observation tower offer spectacular views of Birmingham spread out below. For more insights into local industrial heritage,see the blast furnaces at Sloss Furnaces National Historic Landmark, the only such preservation project in the nation. This Bible Belt city is rich in religious sites, but perhaps best known is Eternal Word Television Network (EWTN), founded by Mother Mary Angelica in 1981. Groups can tour the studios of the world’s first Catholic cable network, which broad-casts programs to more than 230 million households in 140 countries, and take a peek at the chapel seen by viewers around the globe. Birmingham is the state’s retail giant. Spend a day at The Summit among the dozens of high-end specialty shops and restaurants. Visit the charming boutique shops around Birmingham neighborhoods. Shop the outlet stores at the Shops of Grand River or browse the stores under the massive skylight at the Riverchase Galleria.